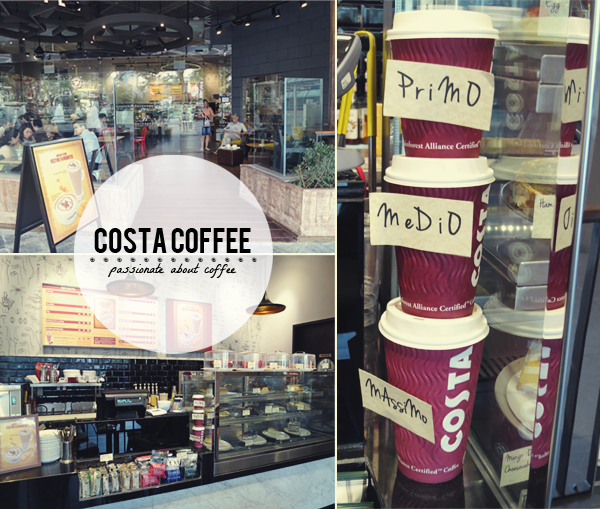 Costa Coffee comes from London and goes all the way back to 1971. 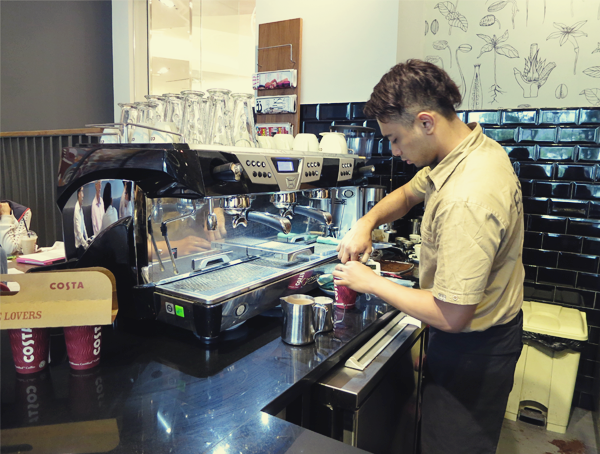 Founded by Italian brothers Sergio and Bruno Costa, the world's second largest coffee chain has 'meticulously remained true to its Italian heritage'. 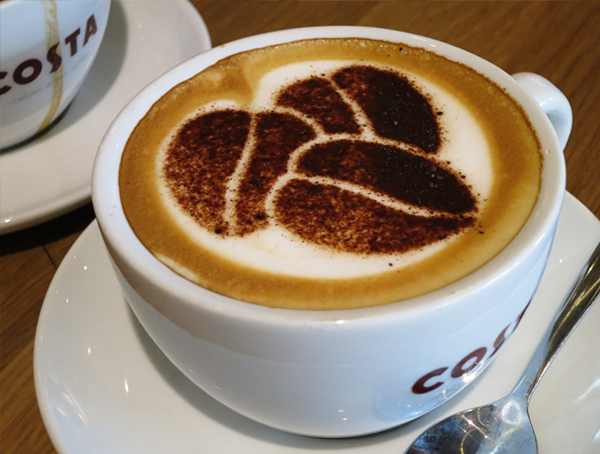 Every cup of Costa coffee that you hold in your hands is derived only from their special blend of coffee beans, Mocha Italia, which are slowly roasted in the Costa Roastery in London. 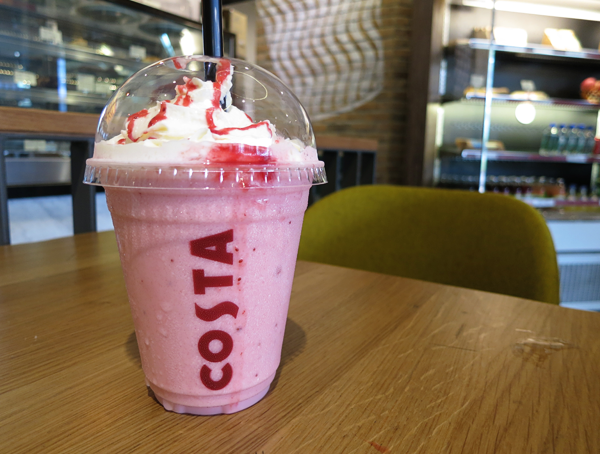 Of course, besides coffee, Costa Coffee also has their own tasty snackables. (: I tried the Pesto Chicken & Olive Panini ($7.20) first. 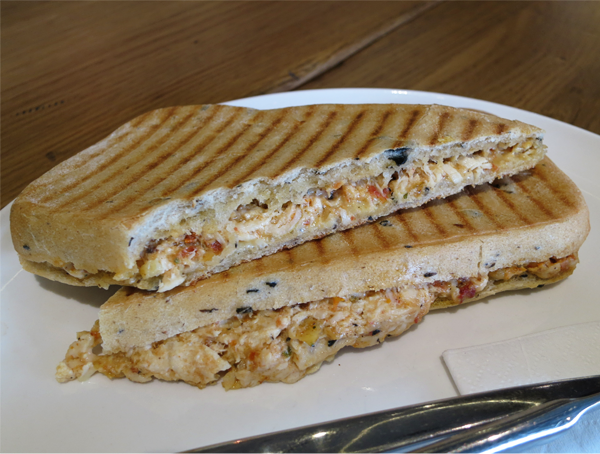 Pressed and toasted, the sandwich was bursting with the scent of herbs and the bread was infused with olive pieces. I really liked this and I think it could actually make a great lunch for the health conscious (Don't belittle it. 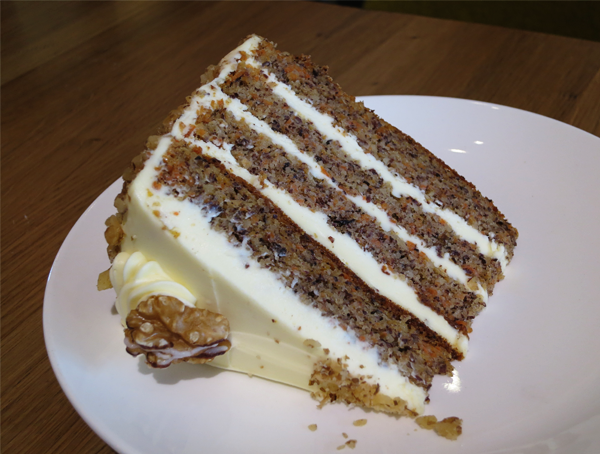 It was actually quite a lot!). 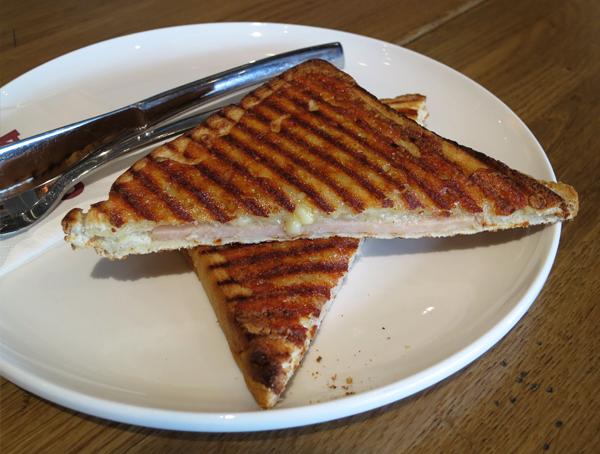 Toastie Deluxe ($5.30), with its turkey ham and cheese combo, is something that is a little more familiar to the Singaporean taste buds. I thought that the bread slices were toasted a tad too much because they were slightly tough but the yummy chewy, melted cheese and delicious ham made up for it. 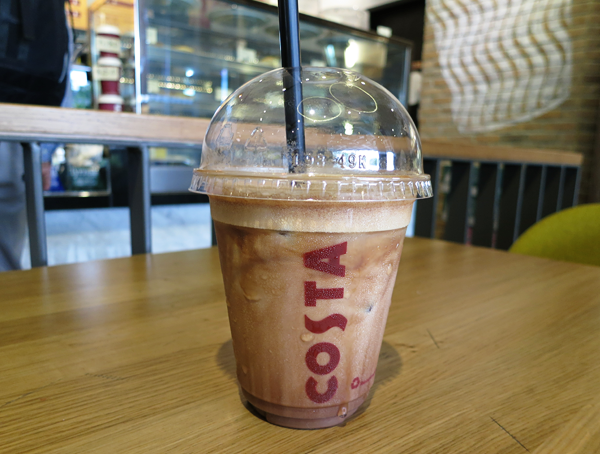 Next, I had a sip of Iced Mocha ($6.50 for Primo, $7.00 for Medio and $7.50 for Massimo). This was light and not too sweet. Fellow chocolate lovers will really enjoy this! This was followed by Cappuccino ($5.80 for Primo, $6.30 for Medio and $6.80 for Massimo.). 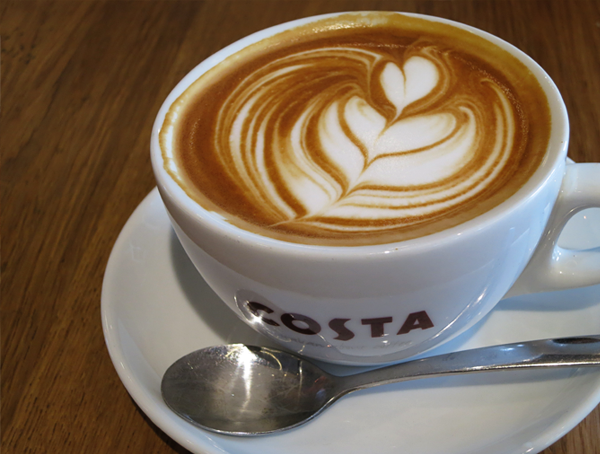 For the uninitiated, the cappuccino is divided into two segments; steamed milk and foam. 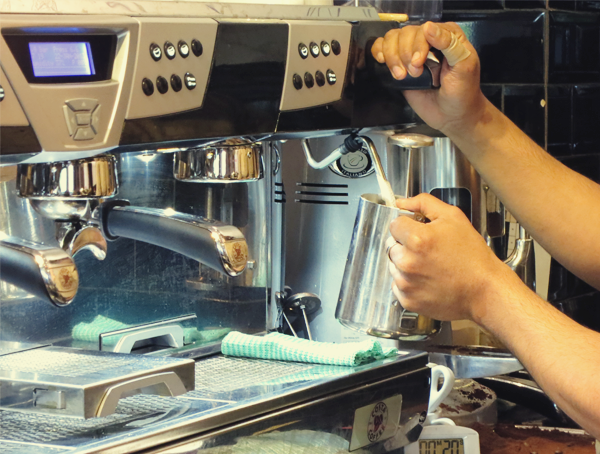 You can vary the ratio of the steamed milk to foam, depending on how dry or wet you want your cappuccino to be. And here's a little tidbit I found; the foam on the top actually acts an insulator, keeping your coffee hotter for a longer time! For me, I don't really like strawberry by-products so the Strawberry Cream Creamy Cooler ($6.30 for Primo, $6.80 for Medio and $7.30 for Massimo.) was just alright. I like that it wasn't too sweet though, because usually these strawberry blended drinks are. 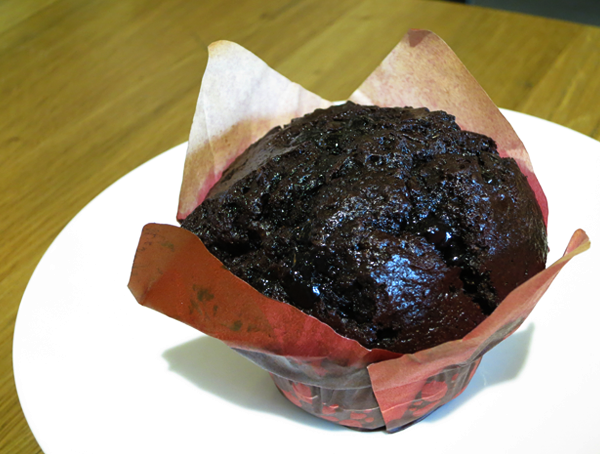 Last but not least, I ended the session with a good ol' Chocolate Muffin ($3.90). This was dotted with so many chocolate chips that when it was heated, the chocolate chips melted all over and covered the muffin like a mini lava cake!